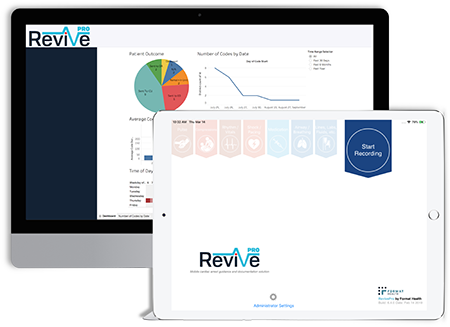 RevivePro – RevivePro is the mobile cardiac arrest guidance and documentation solution. Save more lives with RevivePro. Increase your team adherence to ACLS Guidelines and improve patient outcomes. Improve closed-loop communication, and reduce errors. Effectively manage and record codes anywhere. Protect your organization against litigation and non-compliance. Track, analyze and improve your performance in CodeBlue IQ.